Primary color is the Panel (round part that backs up to the wall. 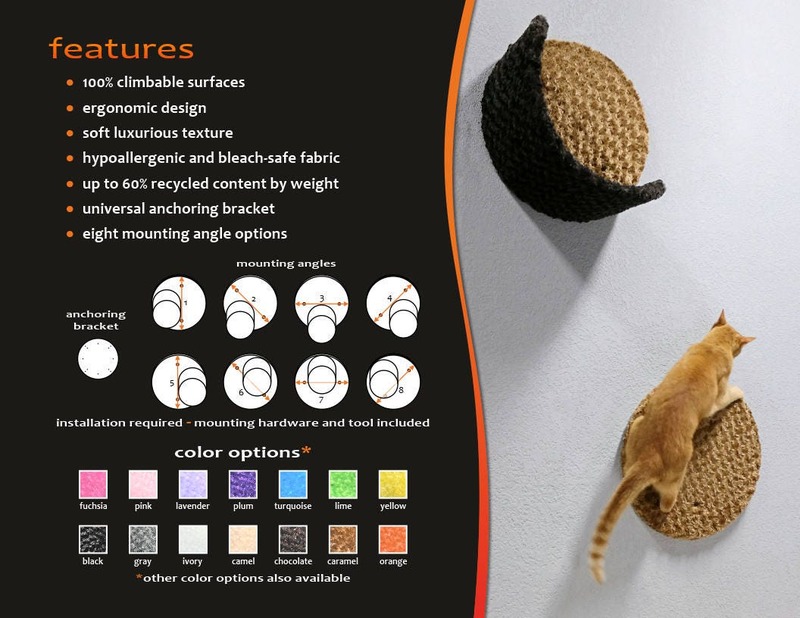 Secondary color is the interactive protrusion (Perch, Cradle, Basinett). Available color options are displayed in the Primary and Secondary color option dropdown menu. 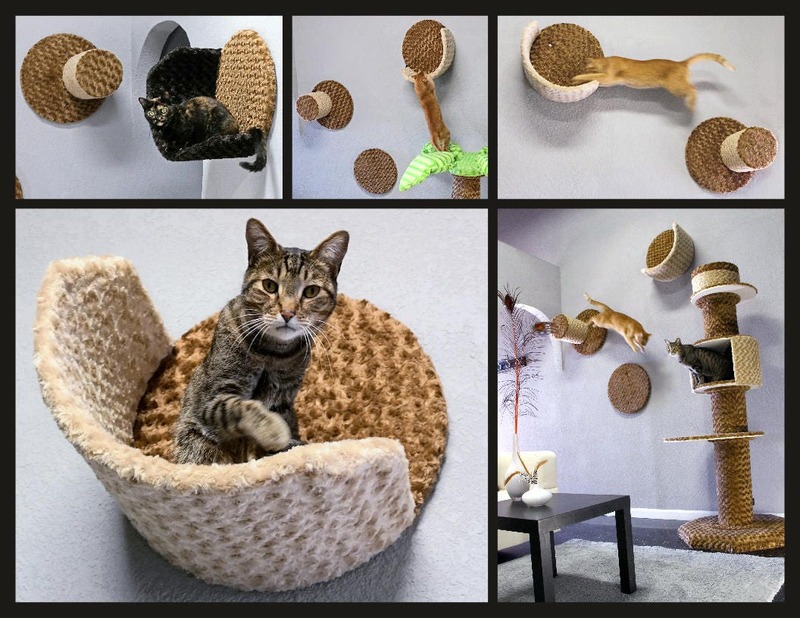 The spring-board of our modular wall condos collection, creating a fun and challenging jumping point for your cats. 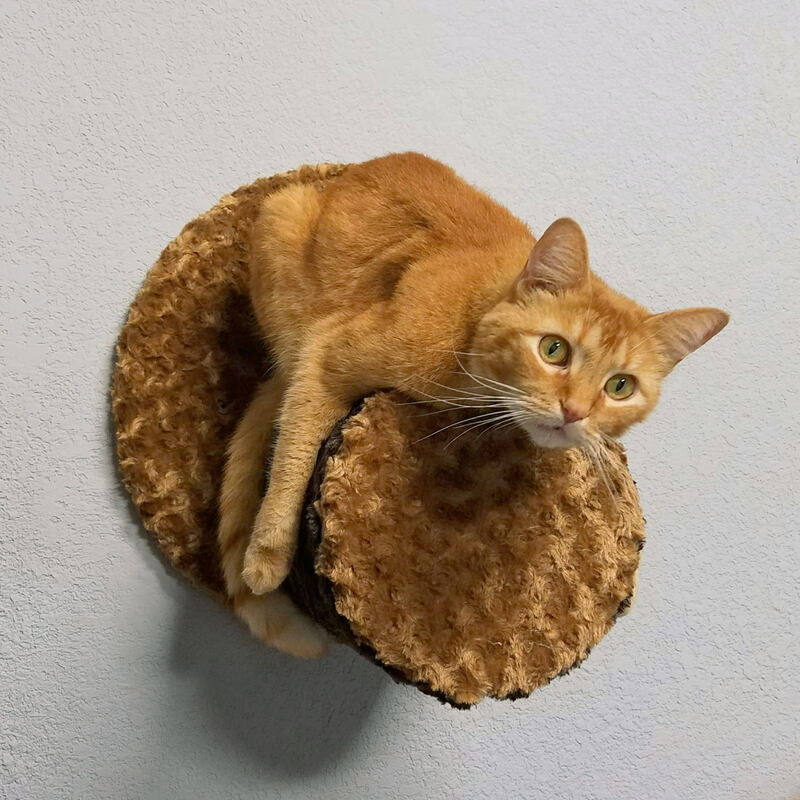 Your cat can use the Perch as a jumping point between to distant places, as part of a track with other wall condos, or as a solitary unit near a window or other desirable viewpoint. 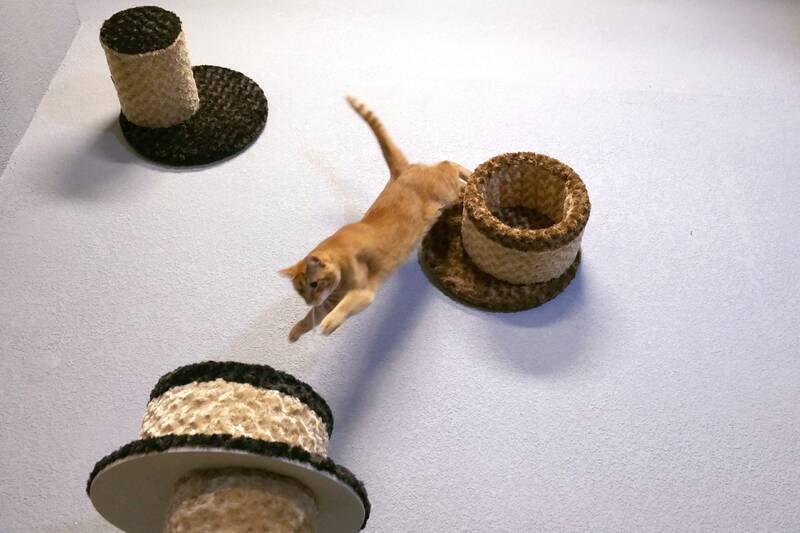 Cats can jump onto them from any angle, and can even climb upside down on them. wall condos aren't just different and really cool looking, they're great for helping to improving over all health. 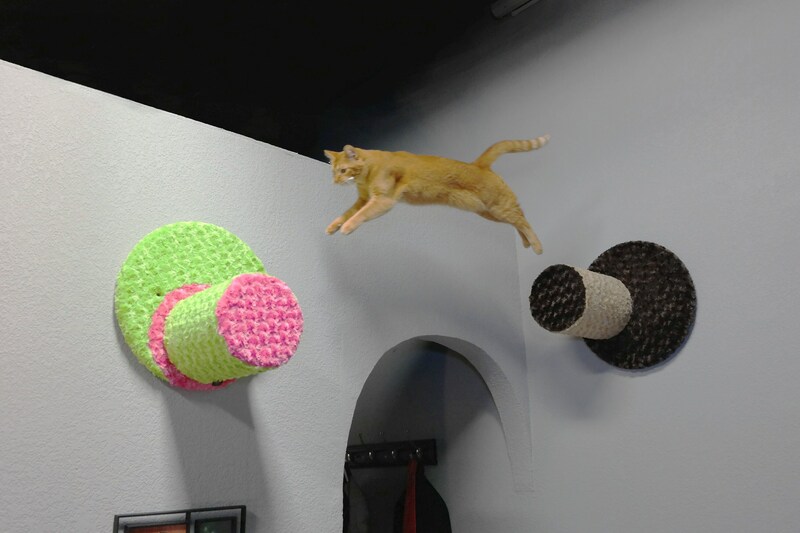 create fun and challenging tracks for your cat, on your wall. 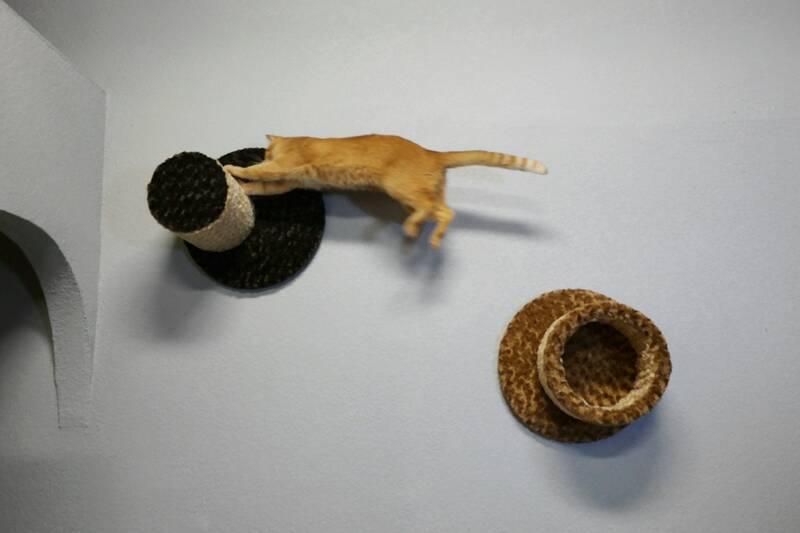 enriching your cats indoor environment without eating up valuable floor space. 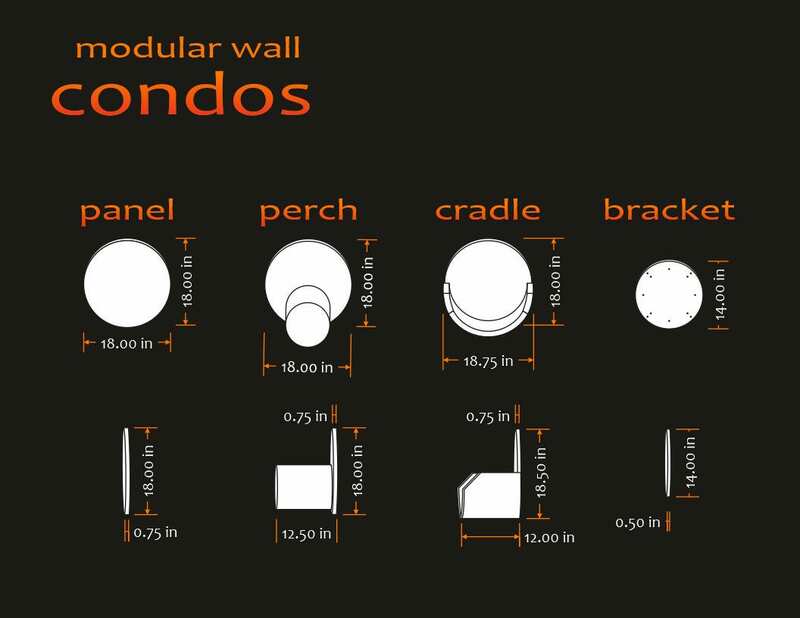 our wall condos are between 15-50% recycled content by weight. help your cat, help shelter cats, and be green - all at the same time! *includes anchoring bracket and mounting hardware and tool. 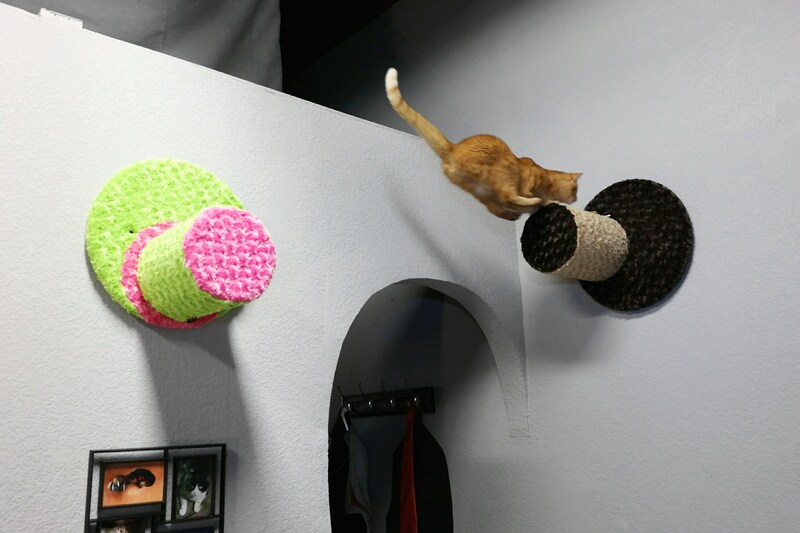 This item is very well built and if attached properly the the wall can hold two cats. 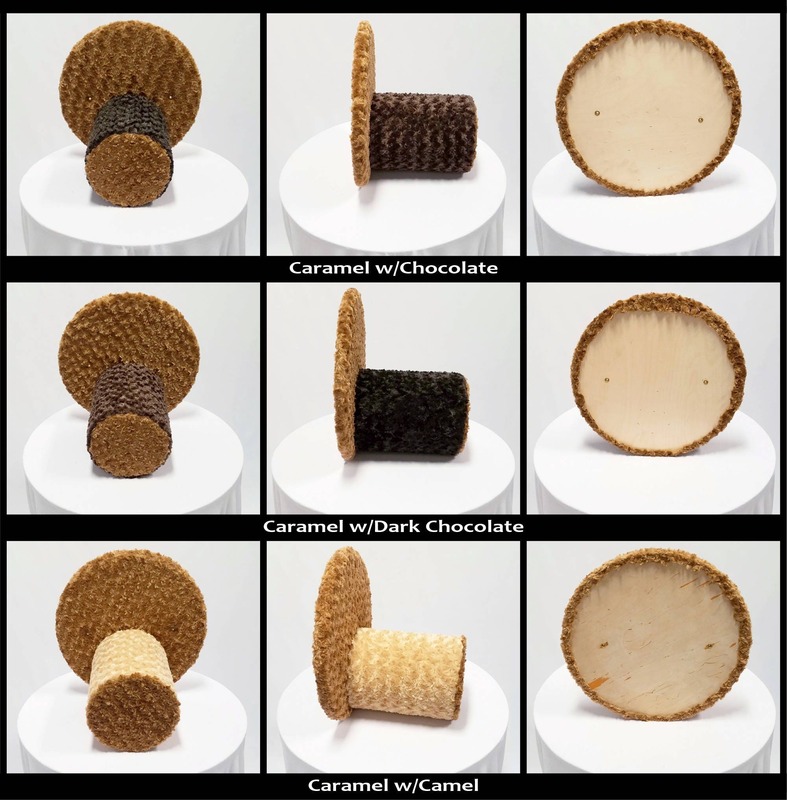 I would definitely purchase this with the cradle. My cats are still learning but they love it! I emailed them the room I wanted to put these in (actually I changed rooms mid design lol) and Andres took time to set up a layout, send multiple pictures with the colors I had in mind and ta-da. Hubby said very simple to put up now we just have to take the ceiling fan closer to ceiling just for piece of mind. Thank you for all your help and patience and for my gift.